This is a common game mechanic in all kinds of games – you flip a switch or press a button, and somewhere a wall gets removed or a door is opened. In this tutorial, we’ll create a simple setup where we remove a wall and make sure it doesn’t come back when we reload the scene later. First, we’ll create the game event that’ll remove the wall – open the ORK Framework editor, navigate to Events and click on New Game Event to create a new event. Click on Add Actor to add the wall as an actor. 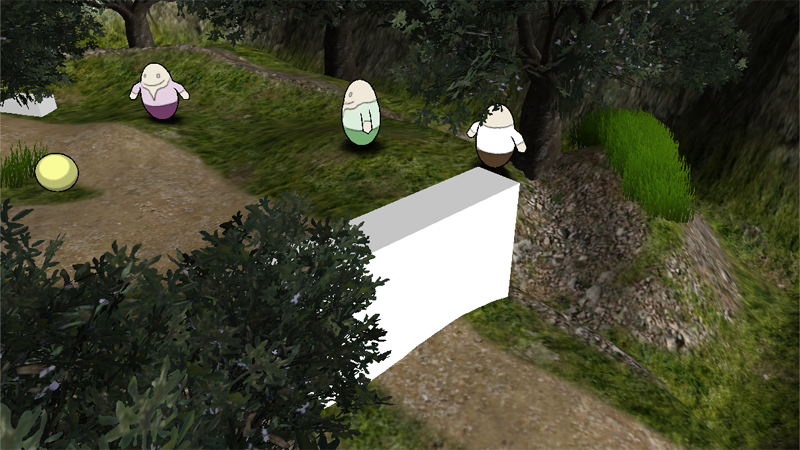 We’ll select the wall’s game object in the inspector of the Event Interaction used for this event. First, we’ll ask the player if he wants to press the switch. Set to There’s a switch on the tree..
Click on Add Choice again. Now we’ll show the wall. It’s time to move the wall out of the way. Set to X=0, Y=-6, Z=0. After moving the wall ended, we’ll deactivate the wall’s game object. The game object will be set inactive. Finally, we’ll set a game variable to remember that the wall has been removed. Click on Add Game Variable to add a variable that will be changed. And that’s it for the event – click on Save Event and save it as removeWall in Assets/Events/Town/. Rename the cube to Wall and change the following settings. Set to X=30.5, Y=6, Z=9.5. Set to X=5, Y=5, Z=1. A Variable Event component is a simple component that can remove game objects based on Variable Conditions. 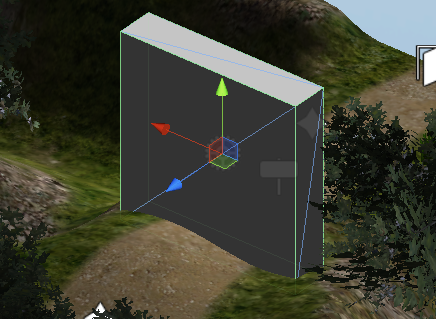 Add the component either using the Unity® menu or the ORK Scene Wizard. This will remove the wall when we return to the scene after it has been removed. 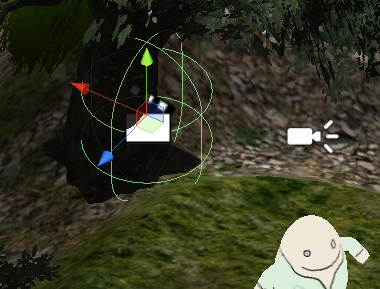 Now we’ll add an empty game object (Game Object > Empty) for the switch – place it on the tree behind the green NPC. Rename the game object to Switch and change the following settings. Set to X=40, Y=4, Z=14. 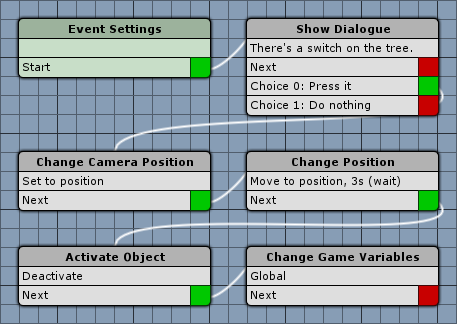 It’s time to add the event – add the component either using the Unity® menu or the ORK Scene Changer. Click on Ok to use the event. Now, if you press the switch, the wall will be removed and stays gone when coming back to the scene. When you want to remove game objects in other scenes, it’s enough to change a game variable and use a Variable Event component as explained in this tutorial. No need to move a game object around.